Ethnic language television/radio programming via satellite. (FTTH - Fibre To The Home & FTTN - Fibre To The Node networks) - Gated Communities, etc..
Building a new house can be a busy and exciting time, as you explore and choose from all the various options available. During this hectic period it is easy to overlook some items which may not seem obvious or essential. Future television, telephone & data requirements often fall into this category. We commonly find, not enough emphasis is placed on the communications system in many new homes & is sometimes left to tradesman with little or no knowledge of RF and/or Data systems. With the introduction of new services & the transition to a digital television platform (Freeview), it is important now more than ever, to install the correct cabling and equipment to take advantage of this current and future technology. A relatively small amount of planning and effort at this early stage can save considerable headaches and unnecessary additional expense later. 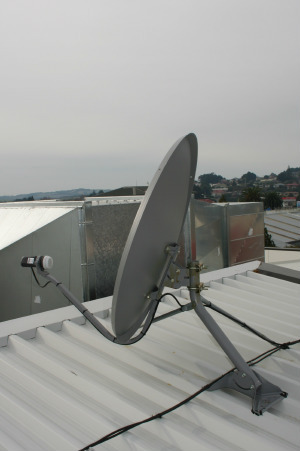 It will also provide a communications system that is correctly specified & fit-for-purpose.